Bright Future aims to address the gap between education and employment by providing programs and resources to equip youth in making career decisions. They work with teachers parents and students to create a positive and career-conscious learning environment that will lead to meaningful employment, through career guidance, life skill development, mentorship and placement opportunities. "We partnered with Atma from 2011 - 2013, at that time I had just started out and the organisation was very new. I started with the passion but without the knowledge of how to run the organisation. We had a very small team and we didn't know how to do things in a scientific manner, be it coming up with an aligned vision and mission, M&E system, simplifying the way we articulate our program (Connecting Education to Employment). Personally, the partnership helped me to get my thoughts together on the vission and the mission of the program. What is special about Atma is that they always put the partner first and value whatever the partner's thoughts are, whether they may be right or wrong. They also make sure they support you from end-to-end, any goal that we plan for, they make sure they close it too. The CEO, Mary Ellen has also kept in touch and keeps referring us in her networks, years after the partnership. I would recommend Atma to organisations in their earliest possible stages as they are very useful!" During the course of the partnership, Bright Future was able to build new partnerships and programs. In 3 years, they saw a 4x increase in the number of centres and an exponential growth in the budget. 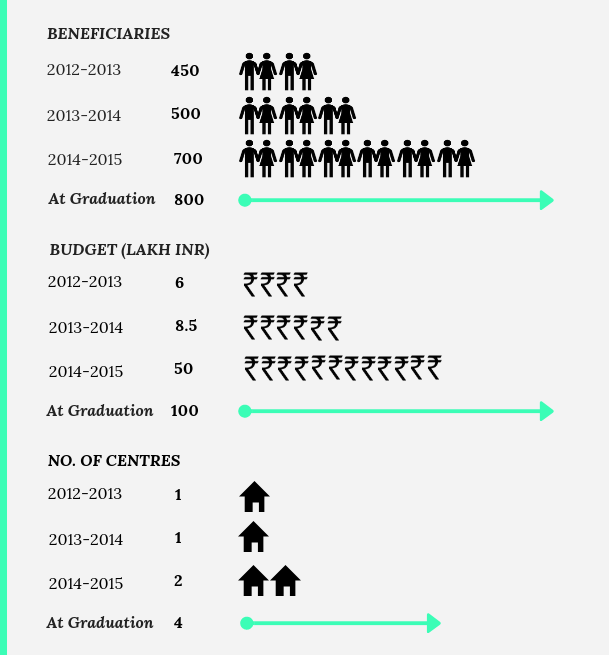 Over the span of 3 years, Atma completed over 34 projects with Bright Future, which helped them scale and organised their programs as an escalated rate. 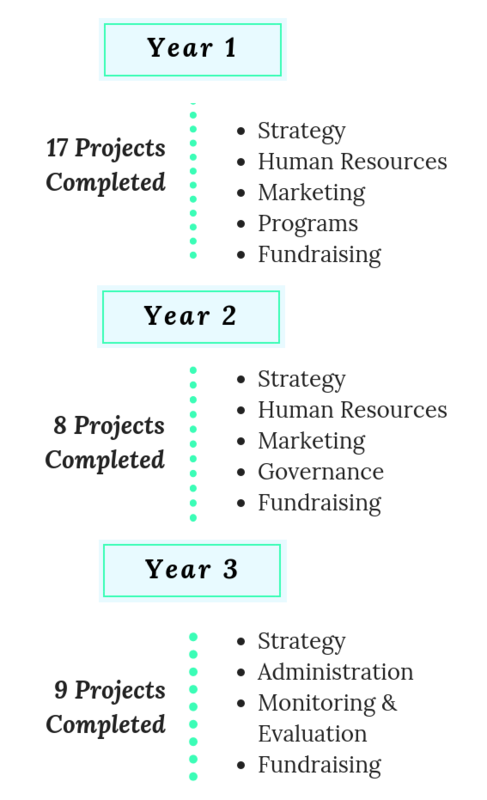 During the span of the partnership, Bright Future’s staff size increased from 5 to 25 and the No. of teachers increased from 2 to 20 over 3 years. Purpose of the partnership: To consolidate learnings from the past and solidify systems required to support scale in the future. From a project perspective, we are working on a short and long-term strategic plan for the organisation, recalibrating the M&E system and redesigning the end-to-end HR systems and processes.